New division, new series: "intelligent percussion"
PRESS RELEASE: The new division of renowned cymbal manufacturers The Avedis Zildjian Company, has announced the immediate availability of their new Digital Vault series. The first in a highly anticipated series of products billed as "Intelligent Percussion by Zildjian," the Digital Vault offers authentic, high-resolution acoustic samples of the company's most coveted, exclusive master 'reference' cymbals, along with rare, limited-edition cymbals never available to the public. Each cymbal has been hand-selected by Zildjian's Master Cymbal Tester Paul Francis from the cymbal vault at the company's Norwell, MA workshop, and meticulously recorded by percussion sampling guru John Emrich. Powering the Gen16 Digital Vaults is a custom version of FXpansion's BFD Eco, an intuitive drum playback/production environment based on the award-winning BFD2 technology. The BFD Eco engine allows users to change pitch, mix or add effects to these Zildjian samples to create even more unique sounds. Also included in the Digital Vault are full libraries of drum and percussion groove tracks from some of the industry's most in-demand drummers, including Michael White, Dave DiCenso and Peter Michael Escovedo. Each performance is available in various audio and General MIDI formats for maximum flexibility. 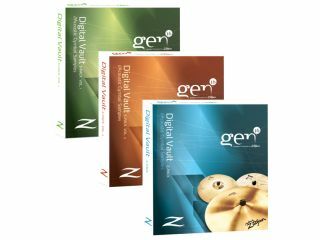 Current Digital Vault products include the Z-Pack, a selection of A-Series and A-Custom Crashes, Rides and Hi-Hats; the S-Pack Volume 1, offering K-Series Crashes, Rides, Hi-Hats and Prototypes; and the S-Pack Volume 2, offering Gong Sheets, Chinas, Rides, Hi-Hats and Trashformers. "For all of us at Zildjian, the birth of Gen16 is one of the year's most exciting events," said CEO Craigie Zildjian. "We're proud of our past, and excited about our future. The Digital Vault is just the beginning of a new era of innovative technologies that will take us into the 21st century and beyond."